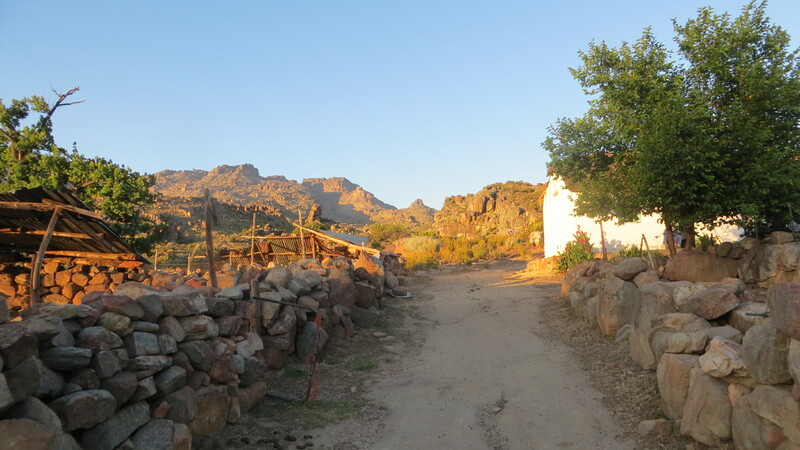 This was reputed to be the longest and toughest days hiking of the trail and although it was not predicted to be the hottest day, the temperatures in the Cederberg can easily get in to the 30’s (°C) – +86 °F. 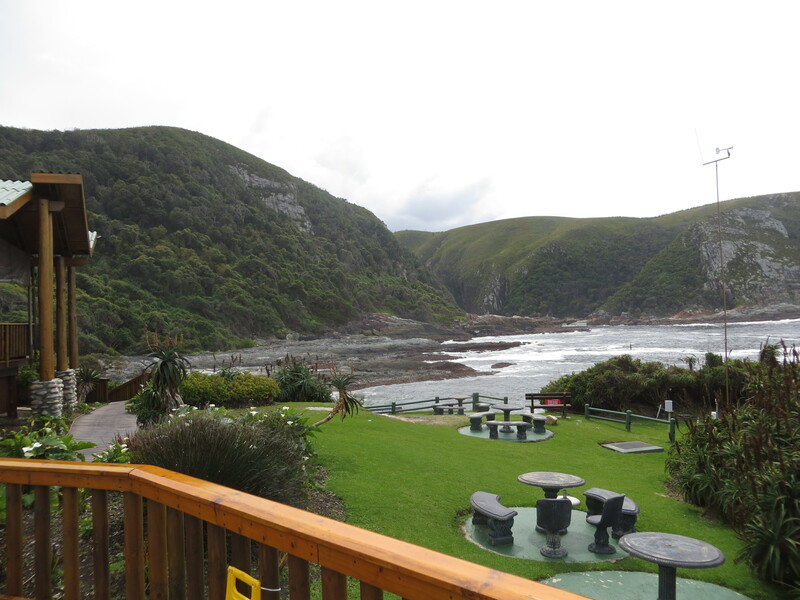 At Riaan’s suggestion, we had breakfast at six and were on the trail by shortly after 6.30. 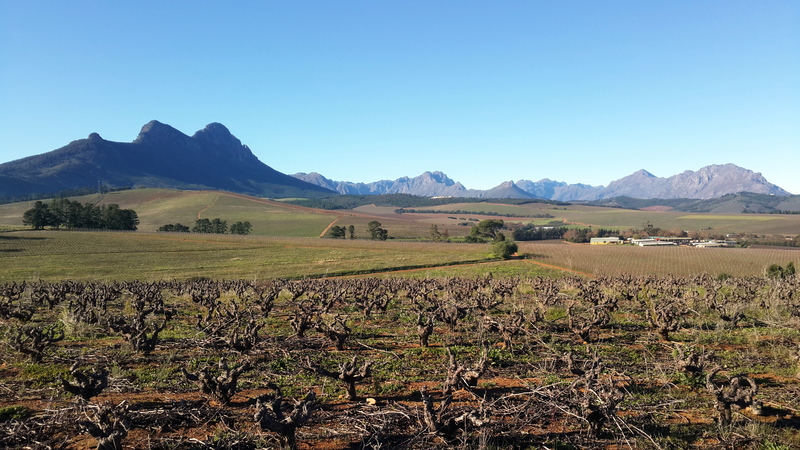 The Mountains glowed a reddish brown colour as the sun reflected off them and we headed up the path to a rocky ridge on our way to Groot Krakadouw Peak, the goal for the day. 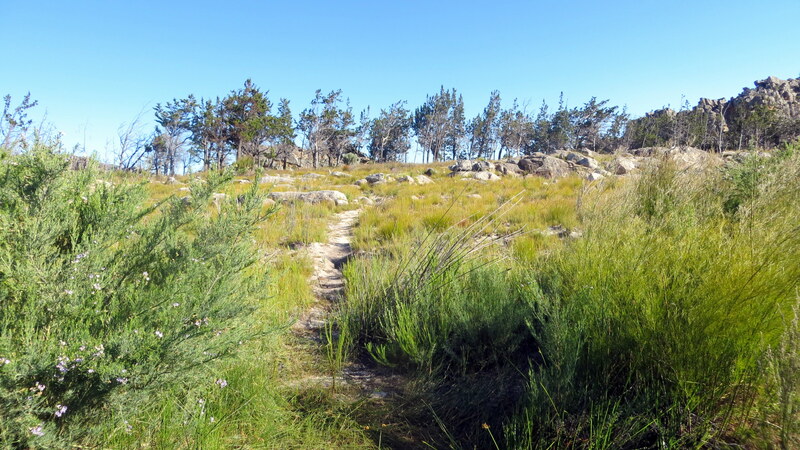 The path was well defined and the walking fairly easy initially, with a few short climbs, sometimes sandy and sometimes rocky underfoot. 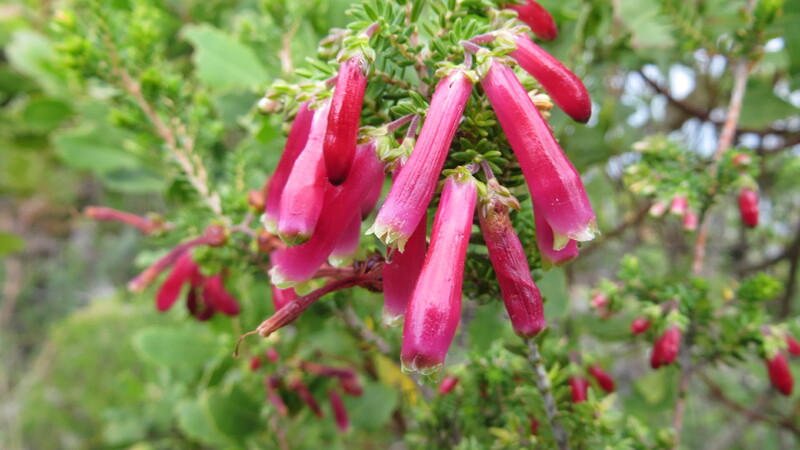 We passed a variety of beautiful ericas, restios and proteas, defining the area as firmly fynbos. Riaan stopped from time to time as we passed a bank of Cedar trees, from which the area takes its name, to talk about a plant, tell a story or discuss some point of cultural interest and to give us a chance to take photographs and subtly take a rest. 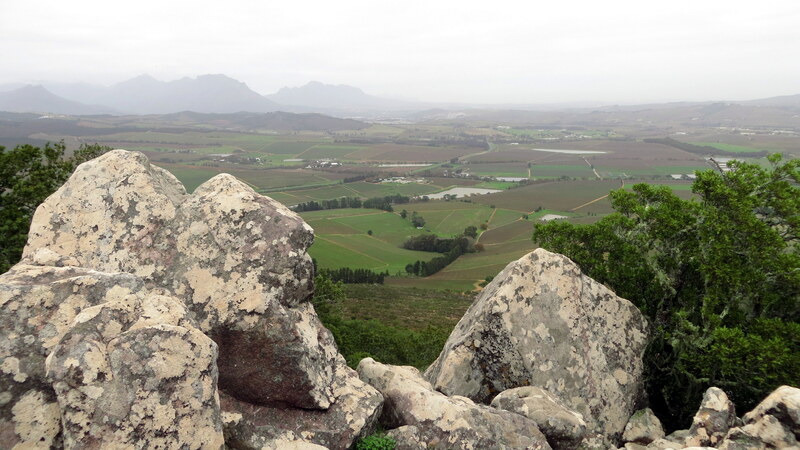 As we walked slowly higher the views over Heuningvlei valley became more magnificent and one could see how this flatish section of the valley, interspersed with rocky outcrops, attracted people to the area, in the early days the San people, probably at some stage the Khoi people and then later the European settlers. 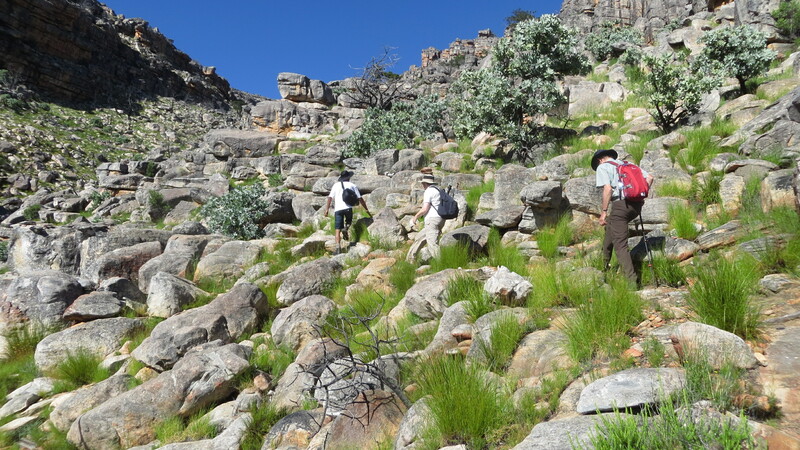 As the path began to climb steeply in to the gorge that leads to the Groot Krakadouw Peak, the temperature was rising at the same time. The walking was becoming more strenuous and the path less distinct. I was pleased that we had a guide with us who knew where he was going. At the same time, our walking companions who had recently arrived in South Africa from Europe, were struggling to adapt to the heat. Rest stops became a bit longer and breath a bit shorter. Eventually it became apparent that a member of the party was not going get there. We were still approximately two hours from the summit when we decided to turn back. It was a good lesson in Mountain safety and the only practical opti on at the time. 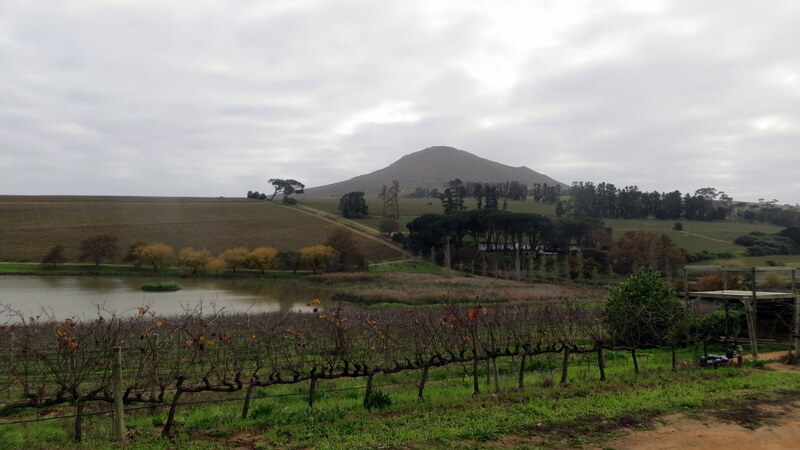 We were back in Heuningvlei by lunch time, after a pleasant walk back. 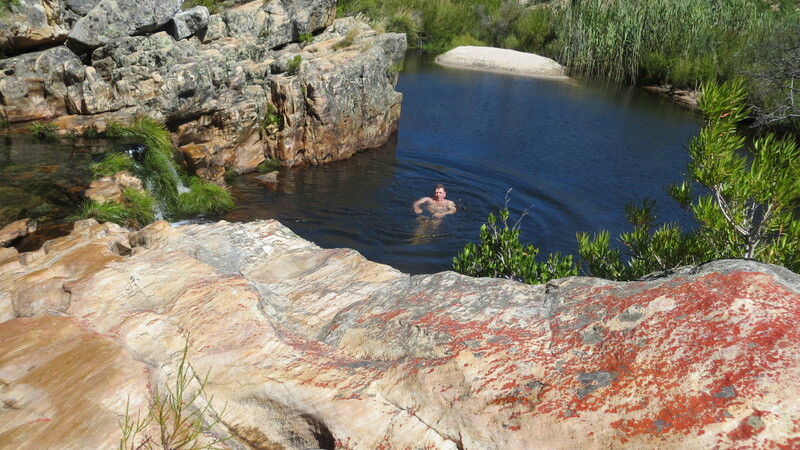 In the afternoon Riaan took us down to a magnificent swimming hole and waterfall twenty minutes walk away. The silver lining was that we would not have been able to do this, if we had made it to the peak. Dinner with Izak that evening was beautifully tender lamb chops, served with sweet potatoes, sweet pumpkin and salads. Another excellent meal. The day dawned almost cloudless and any threat of rain carried over from the previous day disappeared. Marius appeared immediately we had finished our breakfast and we plunged immediately into the forest through a gate on the edge of the expanse of lawn. 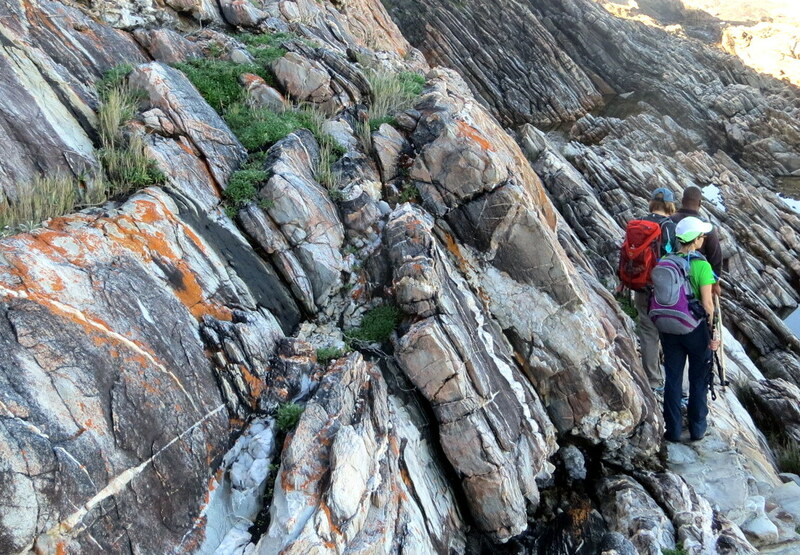 It did not take long to get down to sea level and the rocks below. 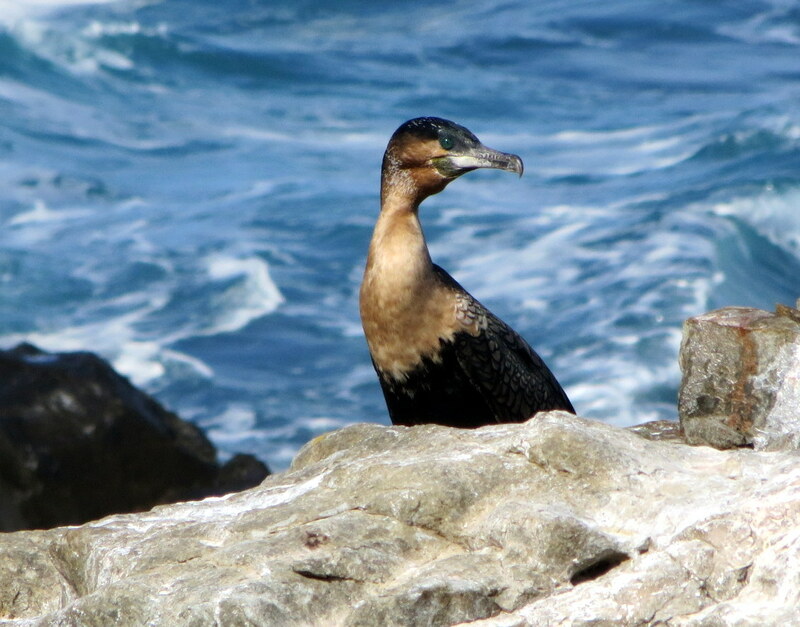 Much of this day is spent close to the rocky shoreline with the walking varying from mostly rock hopping to sandy paths slightly higher up above the rock band. 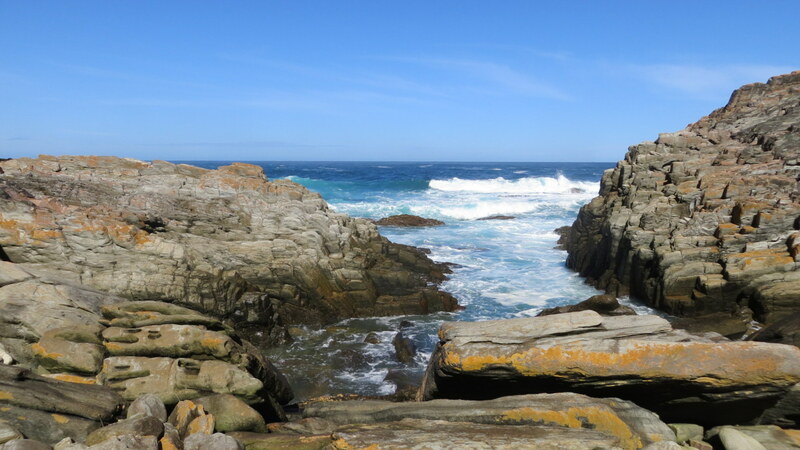 The rock formations are quite spectacular and the waves feel as if they are going to crash in to you at any moment as their energy is dissipated into the rock layers and pools behind. 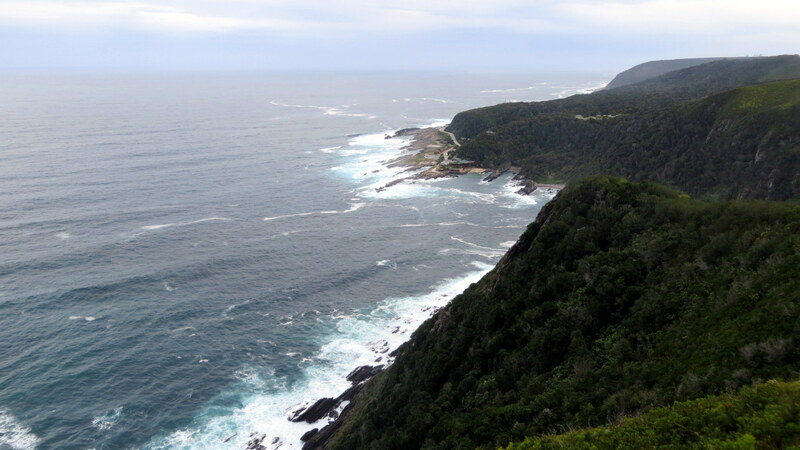 The blue of the sea contrasts dramatically with the green forest verge, which is only prevented from touching the waves in places, by grey-brown rock band. The layers of rocks are tilted and bent, hollowed out and shaped into wonderful formations, bearing testament to the power of the earth and sea over the millions of years. 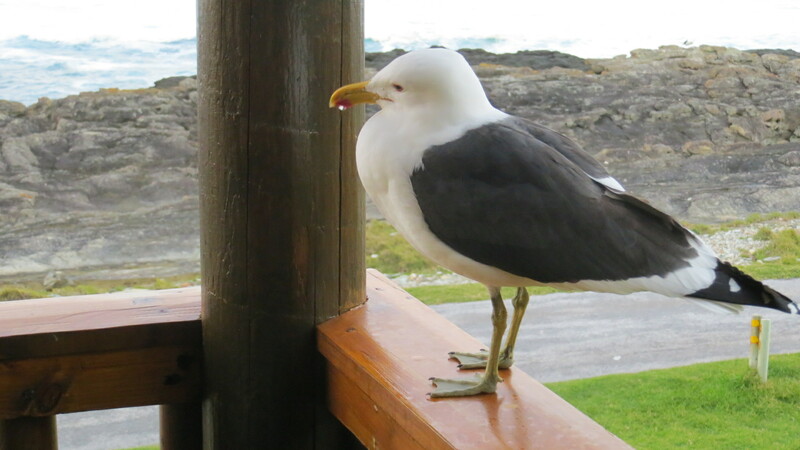 We spotted many gulls, white breasted cormorant and black oystercatchers, out to sea however, the dolphins remained elusive. 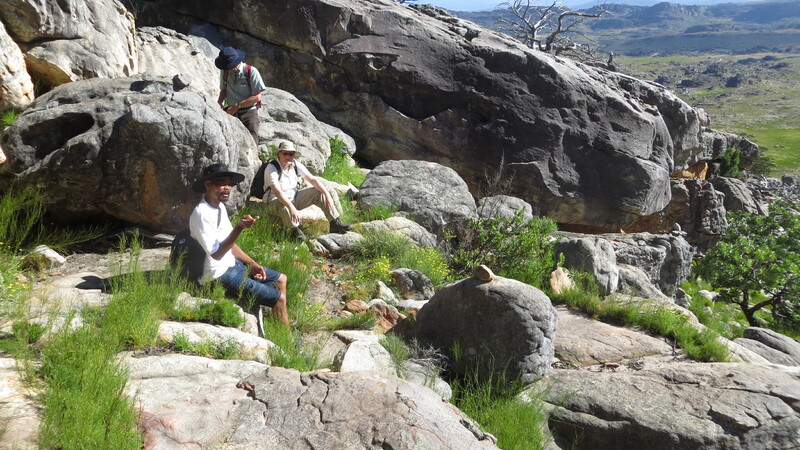 We stopped for a tea break on a flat expanse of rock, catch site of a pod passing by. 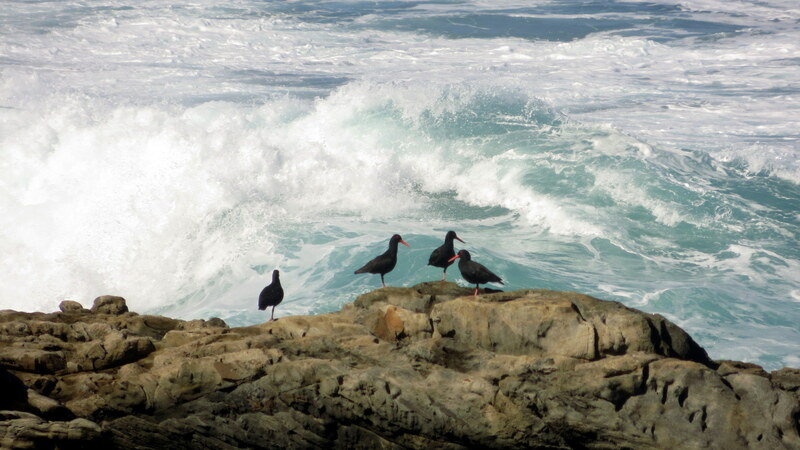 We had to be satisfied with enjoying the bird life and the movement of the sea. As lunch time approached we climbed up away from the shoreline on a steep zig-zag path that took us through a sparse forest and bushy landscape up in to the bigger trees at the top. The hunger pangs from the mornings exertion were starting to gnaw, when a table appeared, set among the trees and groaning with a variety of breads, pates, cold meats, salads, fruit, juice and coffee. It did not take much invitation to tuck in. After lunch the path meanders through the thick coastal forest and one realizes that without a guide and a clear path, that is would be very easy to get lost in this ‘jungle’ of trees. Eventually we emerged in to the pine plantation surrounding the Fernery. The name is derived from the main industry of growing and harvesting ferns from the surrounding forest and the more exotic varieties grown in the green house. These are destined for the cut flower markets around the world. 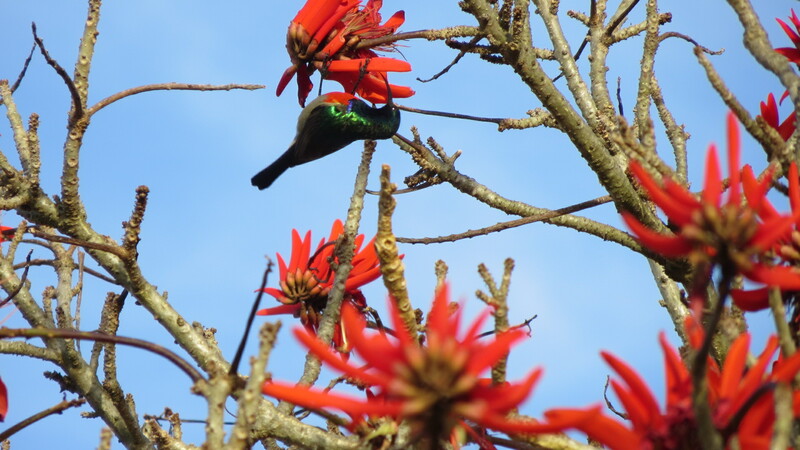 There we were greeted by the Dolphin Trail team and after admiring the bright red flowers of the coral trees, teeming with double collared sunbirds feasting on the nectar, we were shown to our rooms. 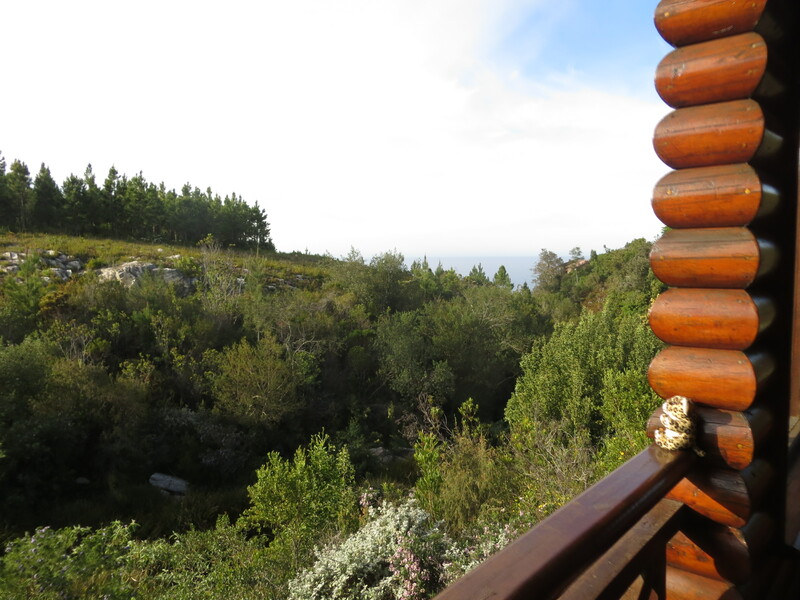 Set a little bit away from the plantation, the log cabins overlook a deep gorge that runs in to the sea close by. A stunning setting and a place where one could quite comfortably relax and spend a few days just enjoying the environment. 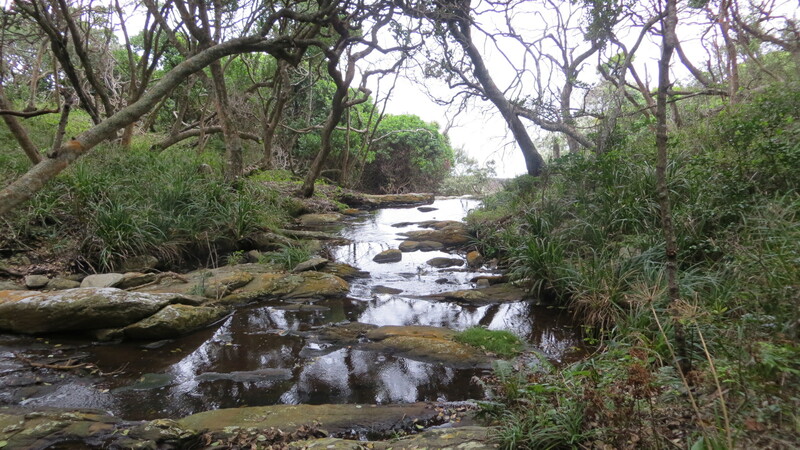 There are a few short hiking paths and cycle routes around the Fernery, but we were all quite happy to settle for a cold beer and a hot shower and to relax until dinner time. The dinner that evening was nothing short of excellent. A choice of succulent fillet steak or stuffed chicken breast, preceded by starters and followed by dessert, all beautifully presented and served by cheerful attentive staff. The wine list is extensive and not overpriced. A fitting end to a wonderful walk. The next morning we had to leave early to catch a flight from George airport, having originally dropped out vehicle at the venue and taken hotel transport to the start. 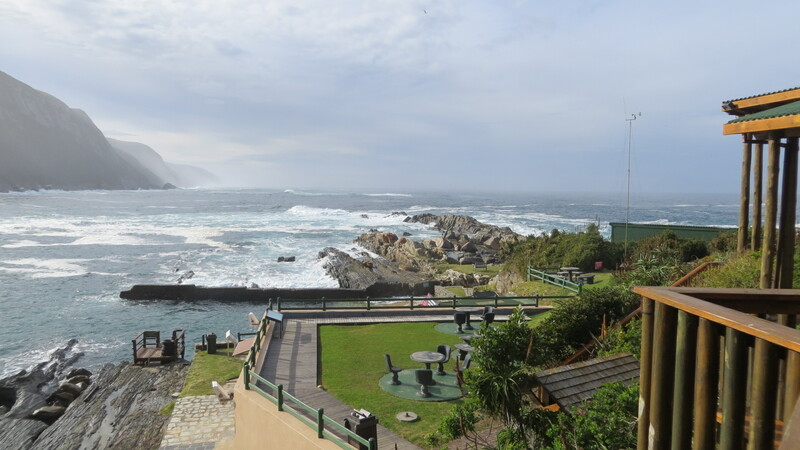 The usual package allows you to leave a vehicle at Storms River and be transported back to the start on a morning drive in a 4×4 vehicle, using the old Storms River Pass road, that preceded the building of the spectacular Storms Rive Bridge. These days this road can only be driven in a 4×4 vehicle – a treat for next time. After a hearty breakfast we were met by Marius, our guide for the next two days, ready to start walking by 9am. 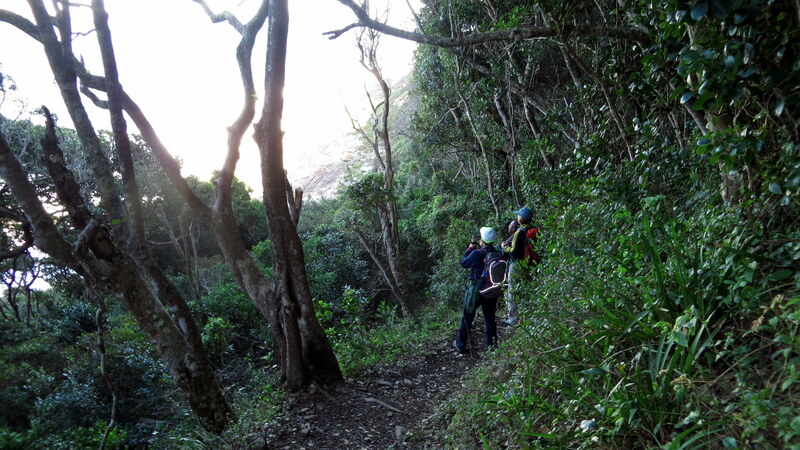 Marius is based at the Fernery and proved to be a really knowledgeable and capable guide. 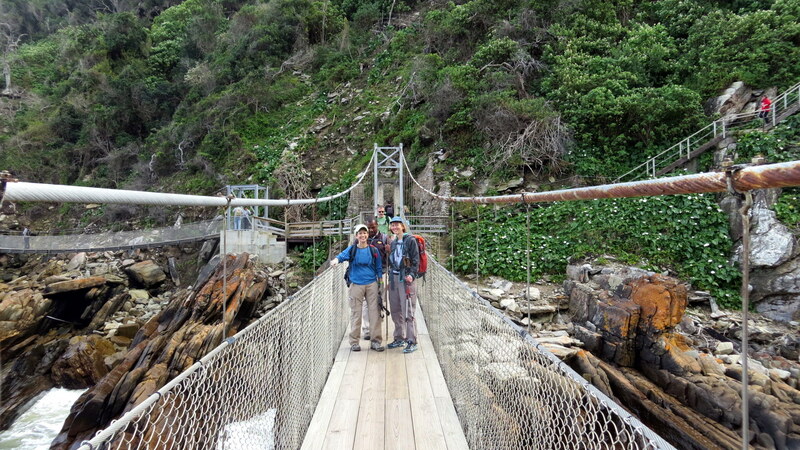 The route takes you out over the board walk to the suspension bridge over the Storms River Mouth. It is a busy path with both bungalow residents and day visitors to the Park walking to the bridge for the scenic view of the river mouth. The image of a flimsy, swinging suspension bridge is dispelled on first sight of this structure, which is an engineered, substantial link made of steel and wood, anchored in concrete. Nevertheless it is flexible and rhythm of the steps of anyone walking across the bridge can be felt. For most visitors the walk ends on the eastern bank of the river as there is a steep climb to a view point high on the cliff face above. For us on the Dolphin Trail, this is where it really begins and gives us a taste of the day to come. The path zig-zags up and from the viewing platform at the top you look down on the restaurant to the west, the river mouth and the waves below. Here we are met by a vehicle from the Fernery, with tea, coffee, juice and biscuits – ‘slackpacking’ at it’s best. 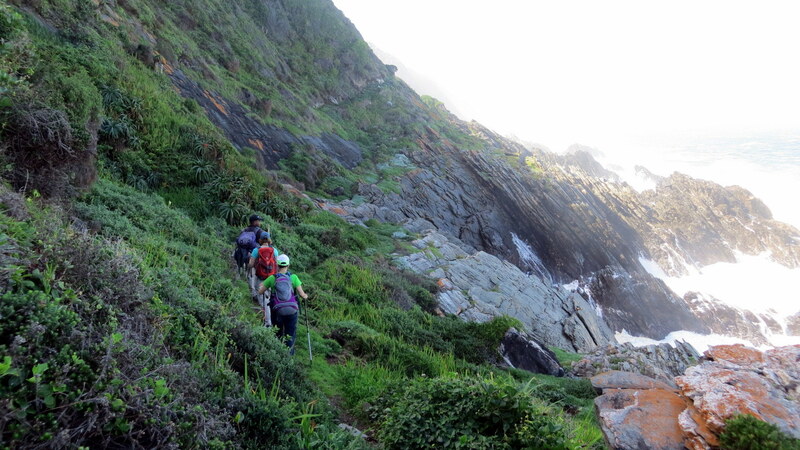 From here we leave all other visitors behind, as the trail becomes a private trail for hikers on the Dolphin Trail. 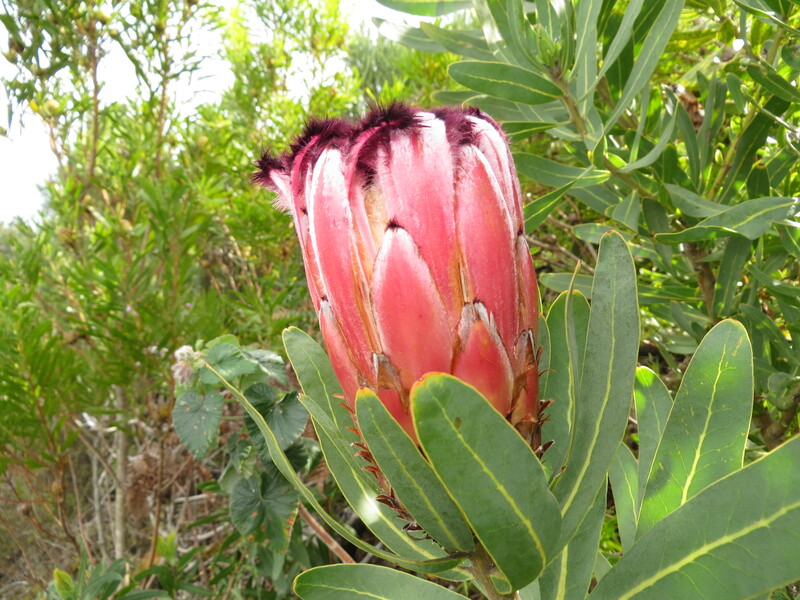 The trail passes along the cliff face through stands of fynbos where proteas, ericas and restios abound together with deep orange chasmanthes and bright yellow aspalatus. Suddenly we are winding down through the forest towards the shoreline, passing milkwoods, yellowwood, candlewood trees and many other species. Marius identifies many of them and explains features, flowers and legends surrounding them. There is a bit of light rain around but not enough to impact on the enjoyment, as we find a good spot next to a gurgling stream for lunch. We can see a glimpse of the path winding up the slope and disappearing high above us. It is not quite as daunting as it looks however and soon we are crossing a wooden bridge with open grass fields in front of us. This is a dairy production area and we have to cross the pastures and over a dam wall to reach Misty Mountain Resort. The boots are muddy but after stamping off the worst we are welcomed at the lodge with hot coffee and decadent looking chocolate cake. 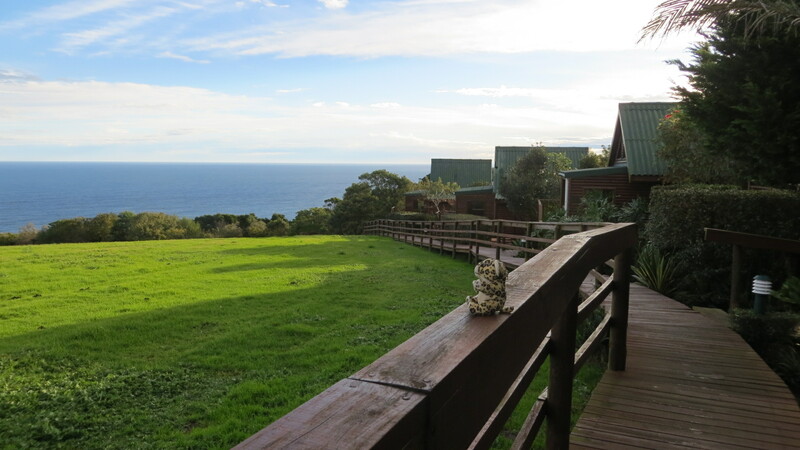 The wooden chalets are set along a boardwalk with views over the big open lawn to the coastal forest fringe and the sea beyond. Rustic, relaxing and comfortable after a great days hiking. Later we gather for pre-dinner drinks and an evening meal that was 100% improvement on the previous night, with good presentation and cheerful and friendly service. 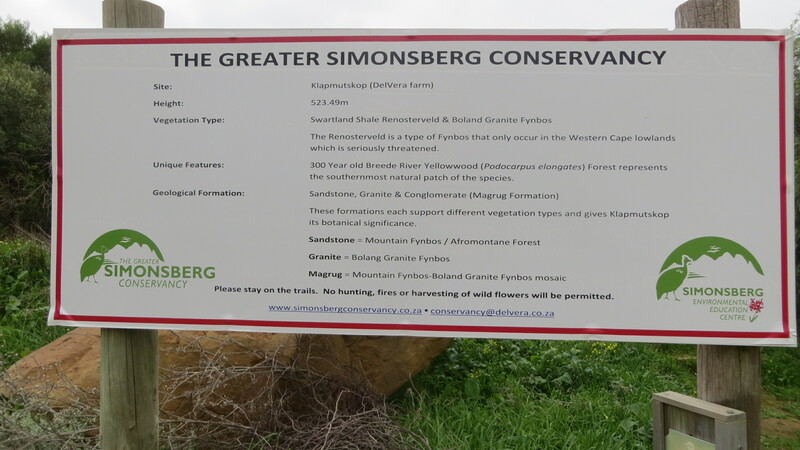 Myburgh Ravine Family Hike, a set on Flickr. 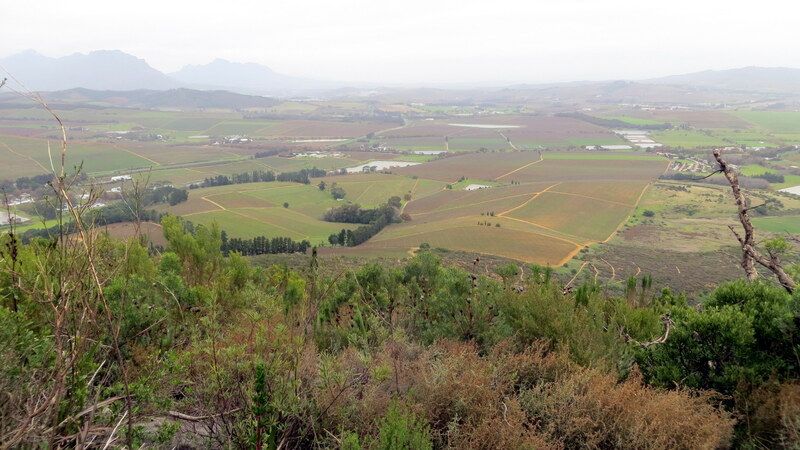 With my sister out from Canada and Lindsay about to start a new job on Friday, we decided to take the opportunity on Wednesday to hike up Myburgh Ravine to see the red disas (Disa uniflora). 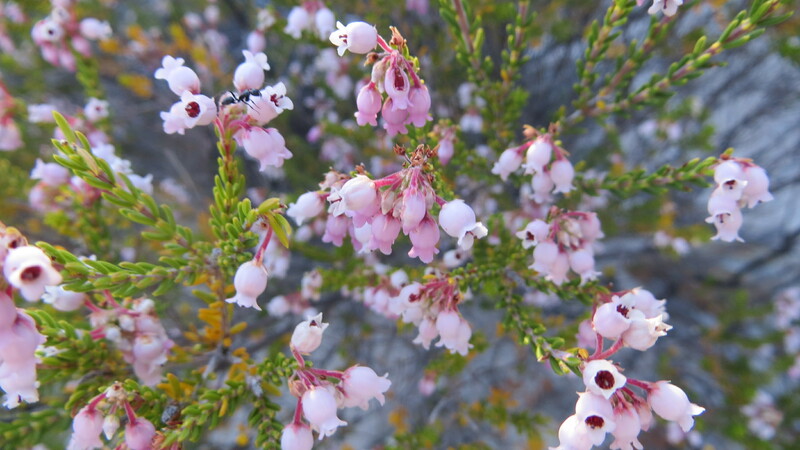 These beautiful flowers are only seen between the end of January and the first few weeks of February and only in few locations on Table Mountain and some of the surrounding mountains. Inevitably unless you make a plan and get out and see them, the time passes quickly and they fade and are gone before you get there. It was a misty morning, but cool and beautiful for walking. I had not done the route for quite a while and was pleased that Peter, who had done it the week before, had decided to join us. Starting in Hout Bay we had initially planned to hike up to the point where we had already established that the disas were blooming and return the same way. 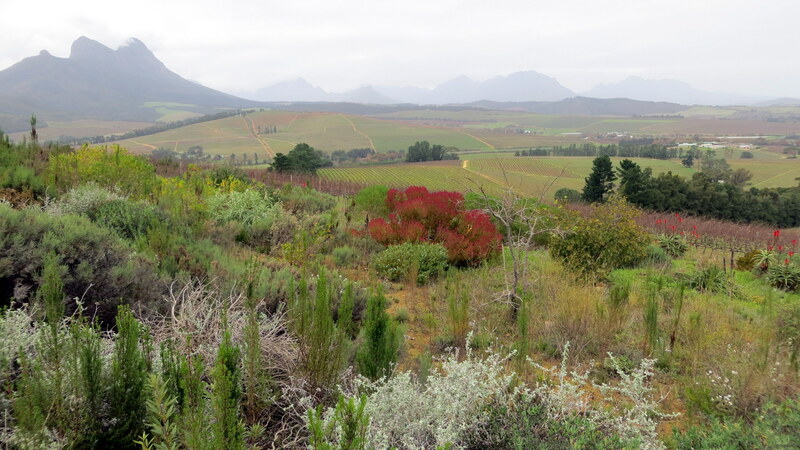 Getting to the start of the ravine is an easy and pleasant walk of about an hour through high stands of proteas. The start of the ravine is shady a shady section of afro-montane forest and there is a short scramble out of the ravine at one point, to get around a rock face, before returning the main path in ravine. This was a bit more challenging than anticipated, particularly having made the mistake of bringing dogs with us. Once past this point it is a climb up over a boulder strewn section, not difficult, but uneven and a bit of a scramble over and around the rocks. With the mist and even light rain at times, it was quite slippery in places. Suddenly we were at the point where the disas were blooming. There must have been about thirty or more blooms of the delicate red and pink flowers. 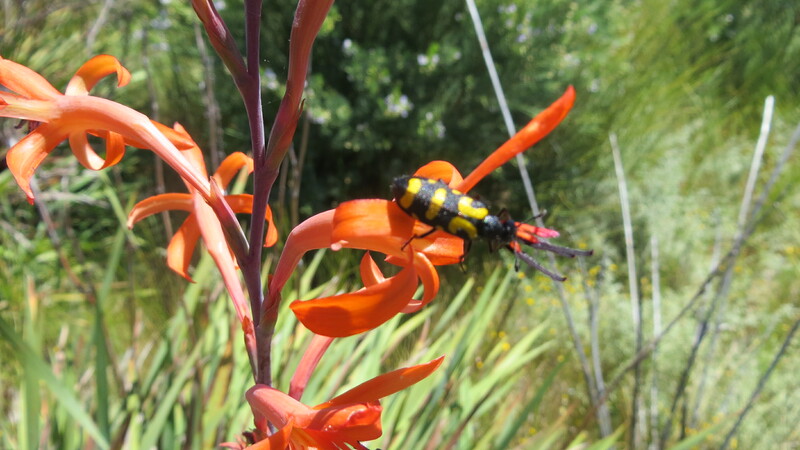 Most of the party had not seen these iconic Western Cape flowers before, so it was very rewarding and well worth the effort. We spent a bit of time just enjoying the spectacle and taking the obligatory photos of flowers and family. 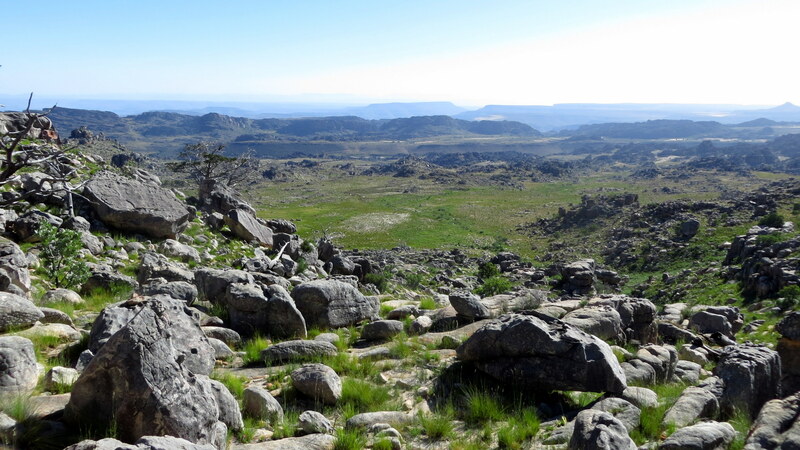 The earlier scramble had proved more difficult than expected and we decided rather to continue up the ravine and return over the top, past Judas Peak and down Llandudno Ravine. The walk up through the rest of the ravine, is quite spectacular, with high cliffs either side. 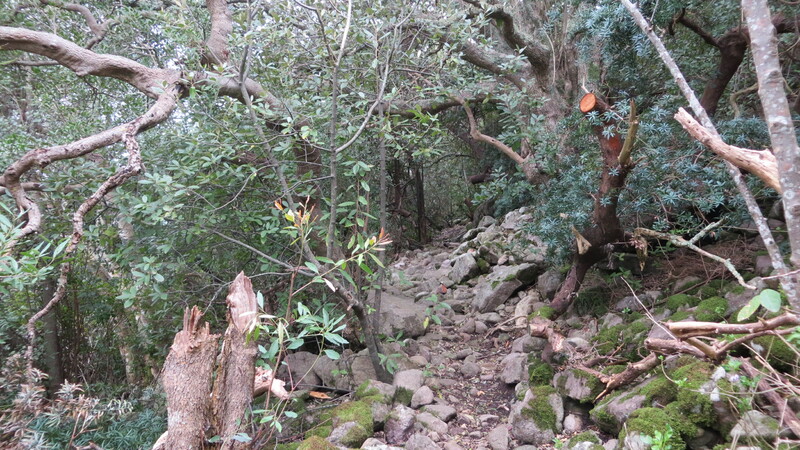 At the top, the route out itself is not that easy, with a very steep, sandy and rather degraded path. It has to be climbed very carefully and although there is a rocky alternative, on the day this was wet and slippery and not a viable option. Once at the top it was a stunning walk through the misty surroundings before heading down the steep Llandudno Ravine. 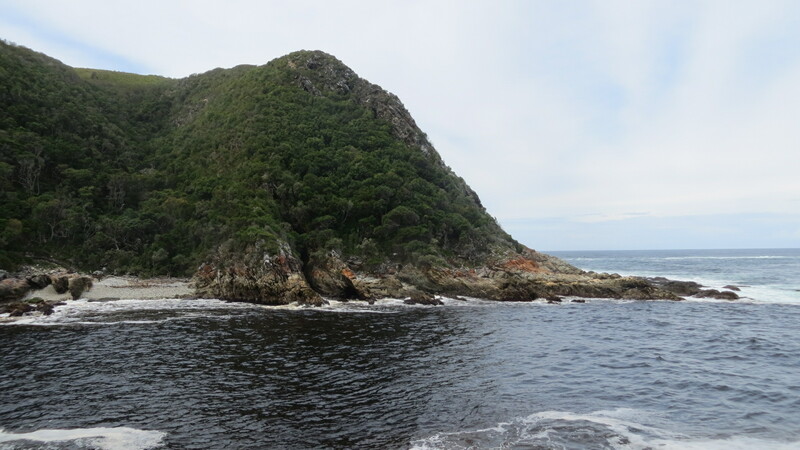 Unfortunately the mist stayed down until we got quite close to Hout Bay, so we did not see the views of the Atlantic coast that you always get from on this route. Quite a tough day for family members not used to hiking, and a few sore legs the next day. Warning: Not a hike to be undertaken without someone who knows the way. There are some fairly challenging scrambles where a head for heights is needed. The path at the top is quite badly eroded with a steep drop below. 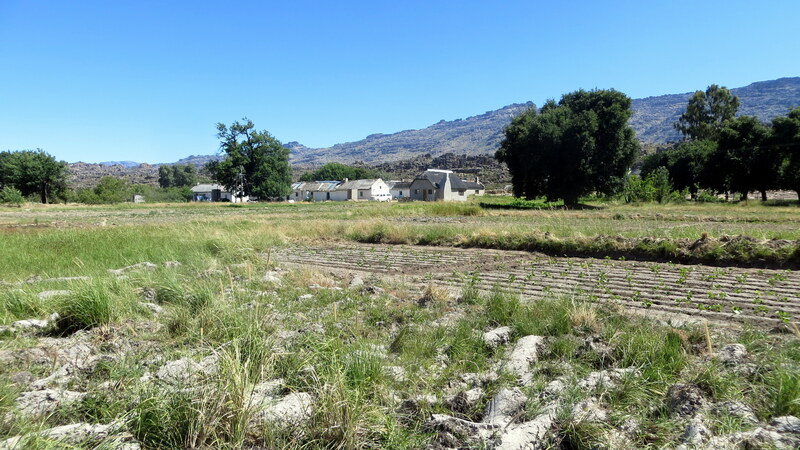 Not a route for dogs – a mistake that we made – adding to the challenge.